Hooray it’s official, About a City Glasgow is one year young. And what better way to celebrate than with cake. But not just any cake – utterly delicious, scrumptious slices of pure perfection that restore inner joy with every single bite. And just where can such wonderful everything-is-right-with-the-world sweets be found in Glasgow? 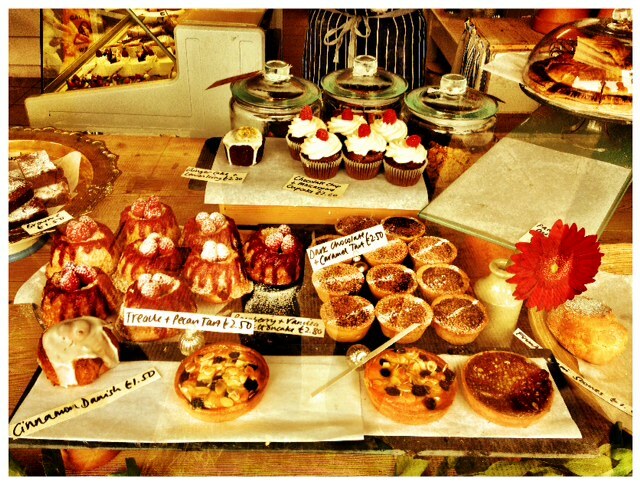 Look no further than Cottonrake Cattering Co.
Tucked away on Hyndland Street is a tiny shop of deliciousness. Though it’s small, this shop packs a mighty selection of utterly exquisite sweet treats. Dark chocolate and caramel tart, chocolate chip and mascarpone cupcakes, treacle and pecan tart, Cinnamon Danish – and that’s just the beginning. Even better, these beautiful works of culinary art are inexpensive indulgences – ranging from a mere £1.50 to just under £3. Double yum! We’re faced with a difficult decision. 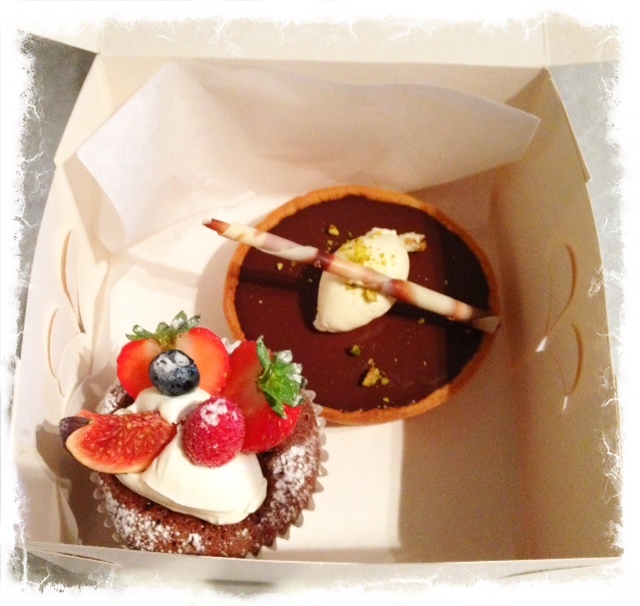 But nothing says birthdays bliss like chocolate and so we go for the heavenly chocolate tart and melt-in-your-mouth moist chocolate cupcake. And we have met our match; there are no words to describe these outstanding magical wonders. It’s been a fantastic year of discovering wonderful things about this diverse and dynamic city. And we still haven’t even cracked the tip of the to do ice-burg. So here’s to another year of new discoveries, including new delightful desserts. And of course a big thanks to all of you fabulous people who read the blog – joining us on our city adventures, and even inspired us to try new things with your excellent recommendations. We couldn’t (and wouldn’t) have done it without you.